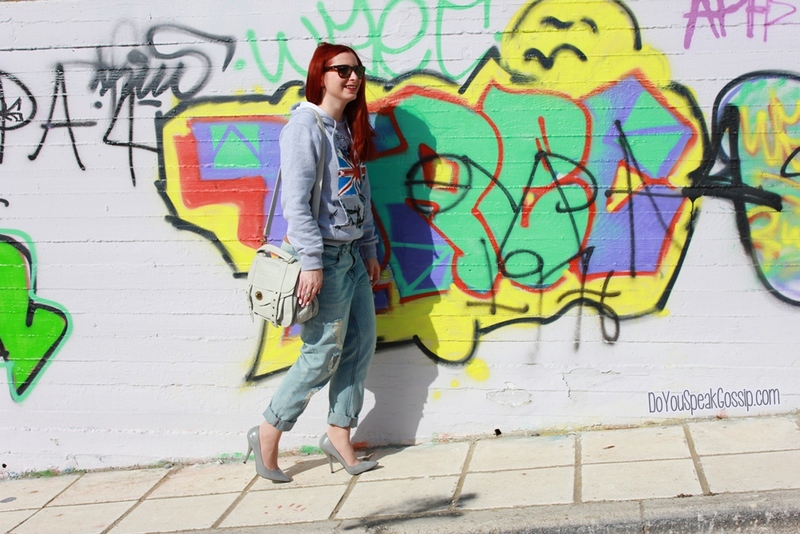 Sporty Chic | Outfit post - Do You Speak Gossip?Do You Speak Gossip? Manicure made by me: see it up close here. Κοριτσι τελειο και σου παει απιστευτα! Σε περιμενω και στο δικο μου μπλογκ! Πολυ καλο και αυτο το στυλ….να το ακολουθεις πιο συχνα.Σου παει!!!! S’euxaristw poli Gewrgia…Ntinomai sixna s’auto to stil, apla den tixainei na vgazw panta fwtografies…Alla tha deite sintoma kai alla pio casual outfits. Looove your pumps. Oh, and they are so fab grey! This is so hip look. Love this effortlessly chic look. Amazing! Thank you again very much for all your amazing compliments Ramona! I’m soo glad you liked my look. There are going to be a lot more here, really soon. Oraies oi kardoules pou pefton!!! Aww me kaneis kai kokkinizw glikia mou Vanda! 🙂 Na’sai kala! I love the shade of red of your hair – and the black tipped manicure is fantastic! 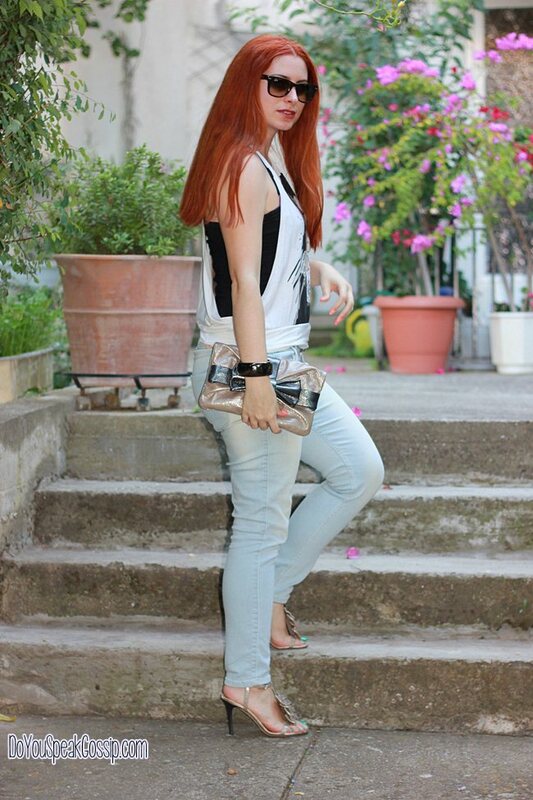 Πολύ μου αρέσει η sporty chic διάθεση του look σου! Το jean σου πάει τέλεια! Euxaristw poli glikia mou Elsa! I love these picks! Fantastic look! Thank you very much Ellakii! Glad you liked it. P.S. Please remember not to put any links in your comment (only in the URL box), because your comments go straight to the spam folder. love the sporty chic on you !!!!!!!!!!!! oh i love graff backgrounds to shoot with 😉 love this casual look and the jeans look perfect with those shoes! Pingback: Sporty chic 2.0 | Outfits | Do You Speak Gossip? Pingback: Sporty in the wind | Outfits | Do You Speak Gossip?